You want to compare several Amazon products and provide all relevant information at a glance? In this case the comparison tables of our Amazon WordPress plugin are the perfect solution for you. Oppose the products of your choice. Show advantages and disadvantages. Support your site visitors in their purchase decision. No programming skills needed. Right from the WordPress admin area. When creating a new table, each row will be assigned to a content type (e.g. Amazon product image). The content type will automatically be applied to all products. 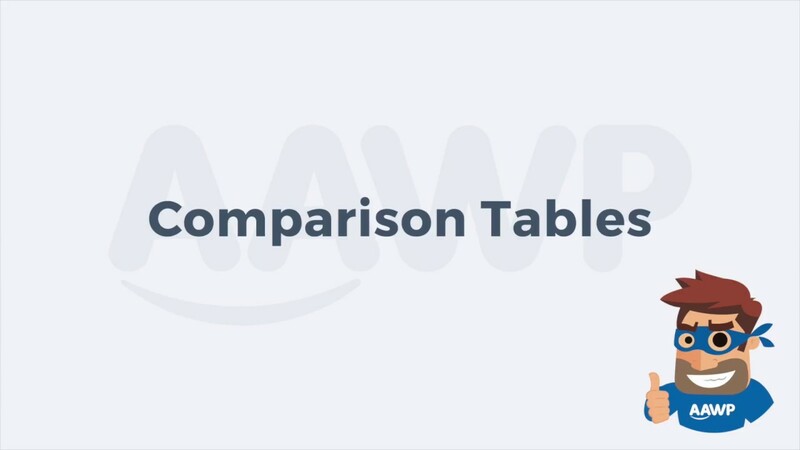 The AAWP comparison table builder is implemented so flexibly that the content type can be overwritten afterwards, on a product respectively line basis. This is particularly useful when individual customization – such as an individual product image – are needed. Please note: Product Specifications – e.g. processor, memory – are not provided by Amazon through their API. These data must be entered manually. For this purpose, the content type “text” is the perfect choice.